All The Most Fun Activities to Do with Toddlers before they’re Big Kids! My youngest child turned two this week! In celebration of her birthday, and because I really want to make the best of this time, I created this list of fun activities for 1, 2 and 3 year olds. 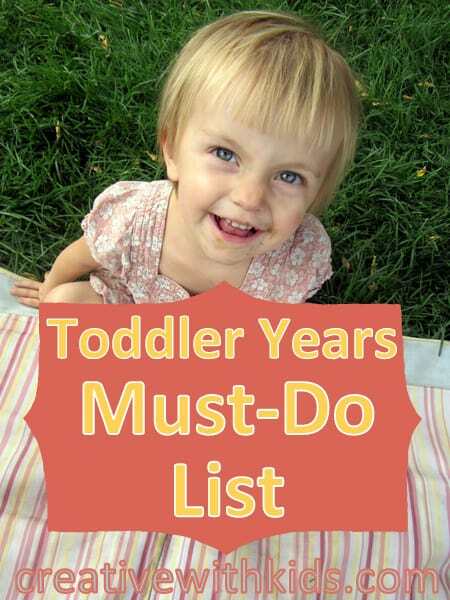 I present the Toddler Years Must Do List! 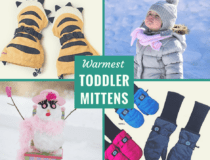 Having a toddler around is SO busy; I don’t want to spend the toddler years in a blur and miss the best parts of this cute and funny stage – I need this list! 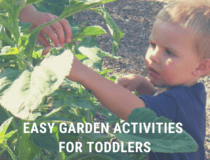 Many of these ideas for toddler activities come from when I asked about your favorite fun activities for 2 year olds this summer. You gave me so many wonderful things to do with toddlers. I had no idea how HAPPY reading the responses would make me! Don’t let this list overwhelm you! Just use it to get get re-inspired when you’re feeling exhausted by things like night wakings of your 1 year old, potty training your 2 year old, or the constant mess your 3 year old leaves in her wake. 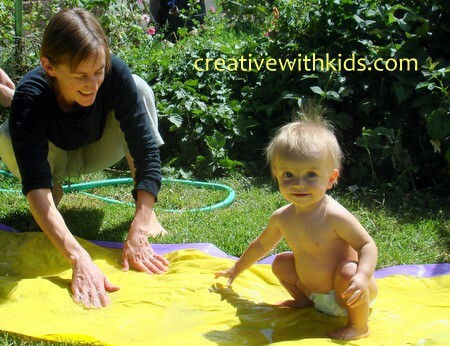 The ideas on the list are the some of the most fun activities to do with toddlers. Many are simple toddler activities you can do at home and you don’t have to do them all – though I think you’ll treasure any you do :). Peek-a-boo, patty cake, hide and seek! Puddle splashing! Get some galoshes so you can play in the rain! Play outside in fresh snow. Play ‘look high/look low’ and see what types of creatures or plants they see. WATER! In the sink with containers, in the sprinkler, in a sand and water table. Pour and measure – add a drop of food color for fun. Walk the neighborhood with a watering can and water the flowers you see. Long baths with their favorite bath toys, and not just for getting clean – enjoy creative bathtime play too. 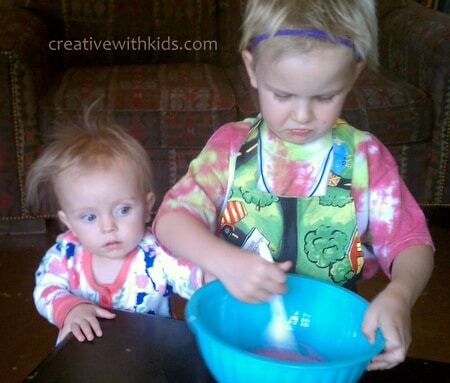 Find more of our favorite sensory activities for toddlers here. Songs with lots of movement, like “The Itsy-Bitsy Spider”, “The Wheels on the Bus”, and “Head, Shoulders, Knees & Toes. Decorating cookies with lots of sprinkles that go everywhere! Painting with brush – these natural paints even smell like fruits for a really fun sensory experience! Stamping – we’ve enjoyed the stamping washable markers from Crayola since they can be used to stamp or draw, and these big letter stamps look neat for beginning letter recognition while enjoying art. Balloons and balls -Balloon baseball! Build “forts” out of boxes or couch cushions! And of course: Hugs, snuggles, kisses, and have lots of playful physical interaction. So many of the most important things to do with toddlers are simple activities that take place in the home as part of day to day life. This is YOUR list. Thank You. Thank you for all of your beautiful ideas, your adorable examples; and thank you for inspiring me and so many other parents to enjoy activities, love and snuggles with our toddlers! Great list! Such a good reminder of the many fun things you can do with toddlers. This is a wonderful list that truly values the rich normality of everyday life for very young children. They are soaking up so much from just these kinds of at home activities! Thanks for this! My daughter will be 4 soon and I had a proud mom moment reading this because we’ve accomplished almost everything, and some things MANY times over. Great choices!! Really enjoyed this list! Been looking for more ways to connect with my 2 year old since his baby sister was born 3 weeks ago, will definitely be doing some of these 🙂 So much fun! My daughter is almost 17 months and she loves to lay in the grass and look at the clouds. I point to some that resemble other shapes and she yells out “oh wow!” and points too. These little moments almost always end in some snuggle time before a nap, a tickle fest or lead to an investigation of what little critter crawled over her arm out of the grass. So so sweet, thanks for sharing! Love it! I loved this and I’m so glad to see I’ve done almost everything mentioned on this list as my twins almost turn 4. While the toddler years can be certainly difficult, it sure has been full of laughter and fun too. I used to mail little things to my much younger sister. My step-mother would get the mail and just hand her the envelope and let her rip into it. I’d also have bigger stuff delivered by UPS. She came to associate the postman and UPS delivery guys with stuff coming from the magic mail place. It was lots of fun for both of us. Thanks Jennifer. That was something that crossed my mind at the time of writing it, but the term “bucket list” has become such a colloquialism that I felt it would be seen for what I meant. I’m am rethinking this morning. All of my grandkids loved to make “forts”. I took blankets, quilts, sheets and draped them over tables, chairs, counters and most furniture I could put together to create a multi-room cavern. We would leave it up most of the day… eat lunch (picnic), take naps, and play games in these creations. Like little rabbits in a warren…. They still talk about it and they are in their 20’s now. Funny how certain things stick with them..!! Great lists for inspiration! Thanks! Thank you once again and keep up the good work – I LOVE your suggestions, always!! Take a candle lit bath! At Halloween we light our jack-o’-lanterns in the bathroom and bathe in its glow. Literally! While exploring the forest, you may not want to touch everything. Keep an eye out for poison ivy people, you don’t want your toddler to touch it! This list is a great reminder! Another idea: engaging in a “getting-ready” routine together (makeup, hair brushing, shaving with soap bubbles, etc.). My toddler is a girl, and she loves my makeup routine. When I put on mascara, she repeatedly says, “Eyes? !” I must then close the mascara and tap near her closed eyes to “put on” the mascara. Her favorite is the facial toner–I use the real product on myself with a cotton pad and get another one wet with water for her to rub all over her face. Her excitement and pride are totally worth the “wasted” cotton pads. She also LOVES to wear my mother-in-law’s hair curlers! It’s a bonding routine every time we visit with them. For some reason my son always wanted me to climb up into his ‘treehouse’ which is really the top of his wooden swing set. I finally did it one day and he absolutely loved it. It’s our special time together and he gets such a kick out of showing me all that he finds up there. 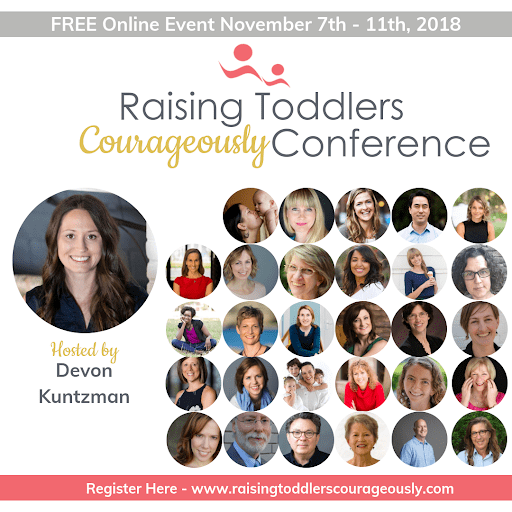 I encourage moms (and dads!) to do enjoy swing sets/playgrounds once in a while. It’s therapeutic for adults also! First of all – great list! 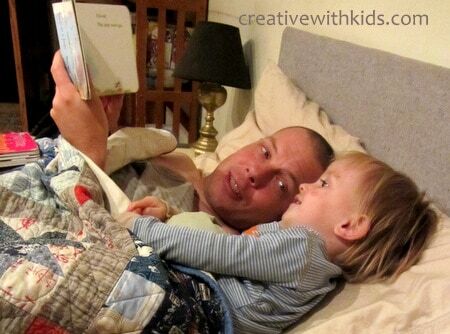 All simple, beautiful things to share with kids. I had forgotten about kites… going to buy one tomorrow and hope to see my two-year-old’s face light up when he sees it flying in the sky! One idea to contribute… it is so simple, and my son thinks this game is hilarious. I draw eyes on our palms with washable markers… then hold our hands palm outwards (eye out) up to your own eyes. Its a little creepy looking, but it makes him laugh hysterically. Ha! That’s a great and simple idea! Thanks. Great ideas, thanks for sharing!! I would also add buying unused paint brushes and “painting” the fence, outdoor toys, side of the house with a small bucket of plain water. Very fun! Aw, this was such a cute list. And the pictures were adorable. I’m not sure about touching *everything* in the forest. Leaves of three, let it be! 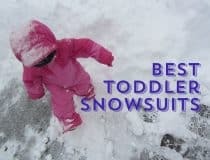 I love the toddler list. I get to enjoy spending a day a week with each of my granddaughters, Addie is 2 and Ellie is 2 1/2 years old. They are delightful, I’m always looking for ways to make our time together memorable. Addie just turned 2 and when she realizes where she is going starts saying “Bubble, bubble!” We blow lots of bubbles, play the piano, dance and read books multiple times each visit. Ellie is my baking assistant. She does things, “By myself Gamma.” She is an amazing egg ‘cacker’. No shells in the bowl ever. Life is sweet! Thanks for the fabulous ideas. Great list! One activity I’ve adopted with grandchildren is “beachball catch on the stairs.” Grandma and little one sit at the bottom. Grandma throws beach ball so that it bounces back down. Little one catches it. I am constantly amazed at what a good catcher a toddler can be! Vary the size of the ball and as the child gets bigger, more balls in a faster series. A four year old can sit at the top of the stairs and try to catch the balls. Use caution! No tumbling down stairs! Bopping in the head is just funny, but a hard smack in the snoot is not! 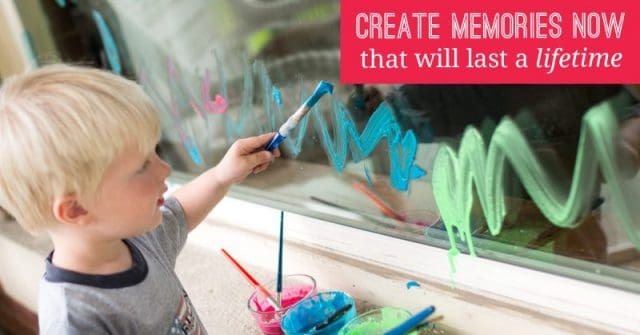 These are totally some awesome ideas to do with little kids. They only grow up once, and doing some of these things while they are little is the best thing we can do as a parent. Thank you sharing such wonderful ideas. All good ideas expect for chasing ducks. Ducks are not accustom to running, you might possible injure or break a ducks leg by doing this. I would add taking videos of your kids, playing them back to them. Have them be as silly as possible. It is something you will treasure for years… and they will too. Phew, proud mamma here…we have done everything on the list!!! I’m a Nana with two little ones and one on the way. Your list is great. I’d love a printable version of the ideas. Thank you. Great idea to do a printable version of the toddler years bucket list- thanks. I can’t promise it’ll happen soon, but it’s on my to do list. This list makes me smile as I remember doing so many of them with my 33 and 31 year old daughters and it makes me smile even bigger as I get to do them AGAIN with two year old (tomorrow) Asher !!!!! LIFE IS GOOD….ENJOY THOSE BABIES !!!!!! 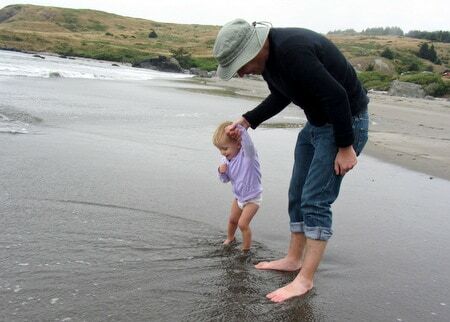 I can’t wait to do most of these with my little one. It reminds me of my teaching kindergarten days. Lots and lots of cuddles and giggles !! Jenny Zhenichka Speyer. Here is a cute idea list for you and Miles! My 2.5 yo did today! We’re in Tahoe for the weekend. What a magical time… I remember when my now 4 year old played in snow the first time, complete joy (for him and his mum & dad)! Just copy and paste into a word document and print. Quite simple really! So nice ideas. May I translate and share this on my blog by giving your name. Its funny some of the fun adventures are random places in our local areas where we decided to explore (more fill in time). From beautiful rock pools and fairy finding in the bushes. So many great sensory experiences and fun to see them see discover things for the first time. Thanks Jo U0001f603 always refreshing reading ideas. I’ve watched a bit of playschool this week and have got some cool craft ideas we’ll have to try! OMG chill out. Your probably holding a battery hen raise drumstick touch typing with your other hand… It annoys the birds, stress… pfft. Great list but the way Alissa! What a great list. And I felt so happy that even though I work full time outside the home I have done so many of these? Did most if not all with my daughter and now watch her do them with my granddaughter, as I do too. Loved that your suggestions, all revolved around time spent together, not money. I love your list it has some very good ideas that we will doing. I do want to point out a few things that parents might not know. Yes petting zoos are more likely to be enjoyed by toddlers and they are great fun. However they do come with some really harmful health risks to children under the age of five. Please check out the recommendations before taking your toddler to a petting zoo. The #1 concerning thing on this list was the trampoline. Please DO NOT take your toddler to a trampoline park. They do advertise “Toddler Time” and we are working to bring awareness of how dangerous they really are especially for children under the age of 6. According to the Consumer Product Safety Commission, 24,318 children ages 2 to 5 suffered trampoline injuries serious enough to land them in the ER in 2014, and 42 % of those incidents included in broken bones. Please understand the risks you might be taking and make educated decisions. Some of us have learned these lessons the very hard way. I love this list! Thanks for all the ideas! Most of these activities have worked for my children. You might want to try them out with your kids to see what they think of them. Thanks for adding more ideas of things to do with toddlers Leah!